Let the human spirit be prepared so that the upcoming uprisings will be aggregated without being part of the authoritarians’ plans; the experiences will enrich thoughts and actions with the spirit of freedom and altruism; the anarchist groups will be pastes for the future communities without authority, where the brutality of the this century will be replaced by the essence and beauty of Anarchy, the great change of humanity. 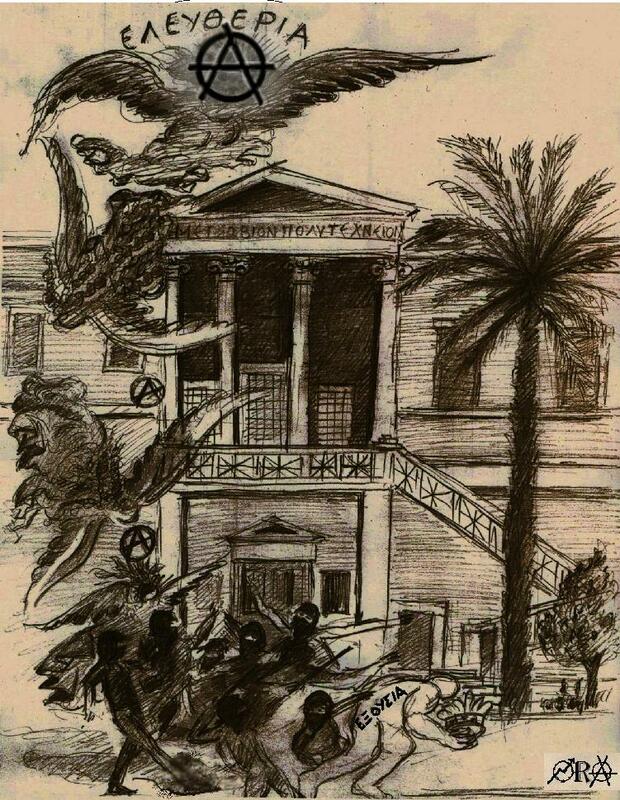 This entry was posted in black blogger_K, Greece and tagged 17 November Remember Remember 1973 Athens Greece Polytechnic School, Πολυτεχνειο 17 Νοεμβρη Αθηνα. Bookmark the permalink.